Some of you by now will be finalising your half-yearly stocktake by tabulating the count sheets, calculating your stock on hand values, adjusting your stock control books and thinking “surely there is an easier way to do this?” Or perhaps your business is struggling for cashflow with too much inventory based on current sales. 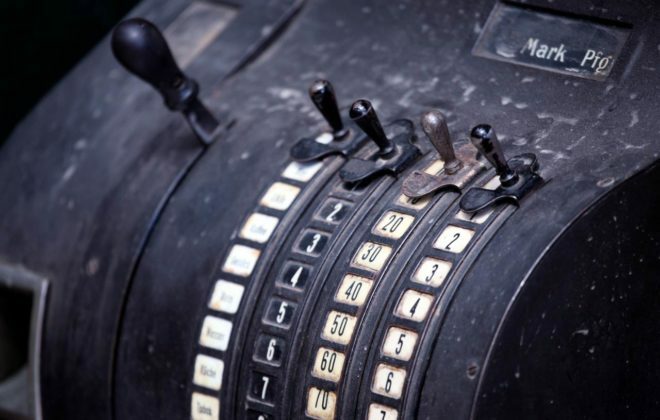 The good news is, Inventory Management Systems (IMS), have been around for decades. From the earliest beginnings, barcode scanning allowed the recording of sales data for each individual item, through to today where an application can perform all of the ordering processes for you. Sounds fantastic doesn’t it? No more manual stock counting, no more walking around the shop or warehouse to see what I do and don’t have, no more under or over-ordering. Where do I sign? If the allure of full inventory automation sounds too good to be true, you may be right? It is not uncommon for a business to throw money, time and effort at technology to solve a problem only to create a bigger problem. So how does this happen? Manual inventory control systems are non-existent or poor, therefore an automated system simply automates chaos. The wrong system was implemented, or was poorly trained, or poorly embraced by staff and management, or all three. Lack of system monitoring and continued adjustment. Automation of manual tasks can revolutionise a process, and if that process is significant, say… ordering 10,000 SKUs of inventory, it can revolutionise an entire business. That said, if you don’t do the basics well already, an IMS is likely to replicate your existing poor practices. So what are some of the basics? Create a scope document and list absolutely every feature you require as a WANT vs a NEED. Start with high level attributes such as online vs desktop and work your way down to micro-features such as ‘must allow for 20 barcodes per SKU. Great for establishing a shortlist of possible systems, and is highly valuable when included in your agreement with the vendor or consultant to ensure they deliver what they promised. If you have an Accounting application already, such as Reckon Accounts, and simply need to automate your inventory management processes, will an add-on suffice rather than replacing inventory, accounting and payroll systems all at once? Furthermore, will the add-on integrate with your accounting system? Does your trusted advisor such as a bookkeeper or accountant have any expertise in this area? What do their existing clients use? What is used by other businesses in your industry. Are there any online peer reviews I can check? The more information you have the better. Determine if you can install / set-up yourself, or do you need a consultant? If so, what is their reputation, experience? Do they have testimonials? Do they understand my business and what we are trying to achieve? Poor implementations by yourself or consultants is more often the cause of a bad experience than the application itself. If applicable, ask for a demonstration based on YOUR workflow and processes, not that of their sample data. If the system is feature rich you’ll most likely need support at some stage. Make sure you know how much this will cost, the turnaround time, as well as the availability of in-product or online documentation including tutorials. Also note if there is a large user community you can leverage. All stakeholders understand how current systems effect the efficiency or profit of the business, and relate this back to their own currency, whether this is loss of casual hours, less overtime, or less money in the owners pocket to pay back their business loan or buy that new delivery van. You have managed expectations. Some will have more work, some will have less. Try to convey the benefit to the entire business, such as less overstocks to count, or better management reporting. Some benefits will have no impact on others, therefore it is vital they understand the overall benefits to the organisation as a whole. The final fall to failure is you simply weren’t ready to automate. So how do you know when the time is right?